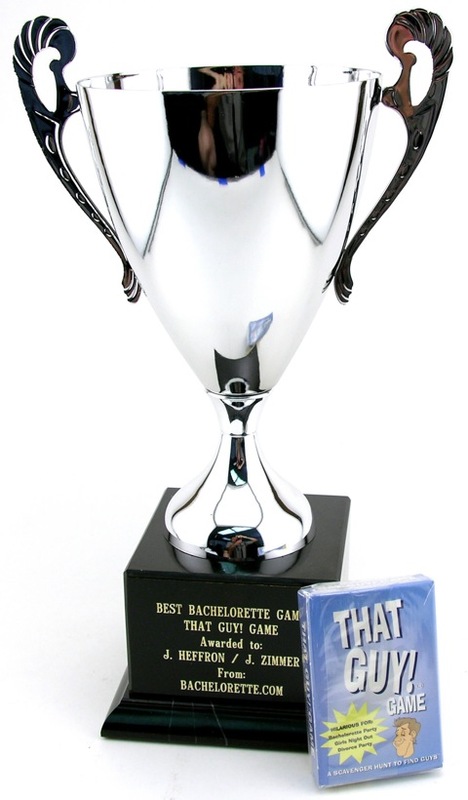 The 2006 Bachelorette Party Award is given to the That Guy Game. This card game surpasses all others with its wit and humor. The That Guy Game challenges bachelorette party revellers to find stereotypical men at the bar. Each card points out a type of guy you have probably seen out and about, now you can get points for talking with him. You’ll find the sweaty dancer guy, the “sports jersey” guy, and 50 others. The That Guy Game is world’s of fun and easily worthy of this year’s bachelorette party award. Update: In late 2009 production of the That Guy Game ceased, it’s inventor (J. Heffron) had gone on to win the contest America’s Funniest Comic and was busy touring the US. Unfortunately he was too busy to print the That Guy Game any longer. Bachelorette.com eventually found a few replacements. See our Bachelorette Party Games category.